The English Apple Man meets The Himalayan Apple Man! One of the joys of The English Apple Man is receiving contact from my readers. 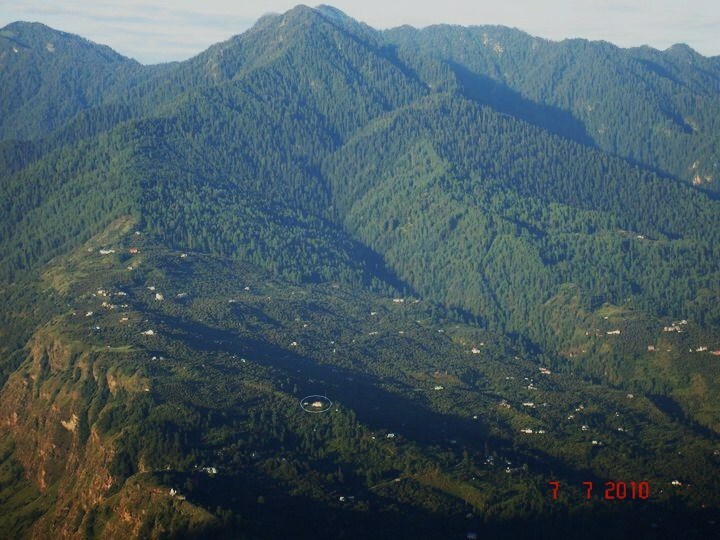 A month or so ago a delightful young man by the name of Vikram Singh Thakur made contact and told me his father grows Apples in The Himalayas. 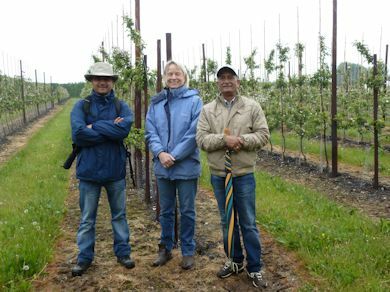 Vikram lives and works in England, but shares his father's passion for growing apples. 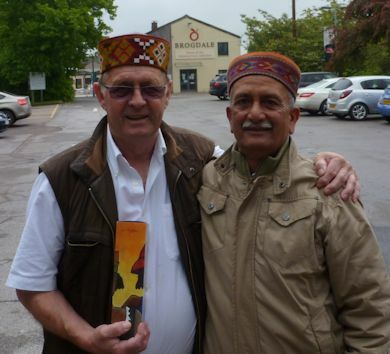 This week I met Vikram and his father Laksham who is in England on holiday. Father and Son grew up reading reports from East Malling Research Station (Lakshman was a a member of EMRS for many years until 'our government' wound down 'financial support' ) and his son followed in father's footsteps. 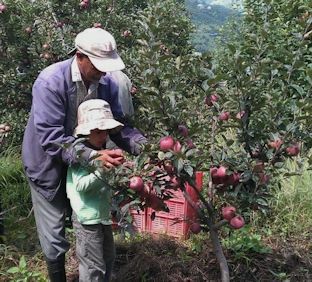 Vikram lives in England with his wife and young son, but returns home each year at harvest time to assist his father and enjoy his love of apple growing for a month of the year. While he has a successful career in a corporate environment, he hopes to one day return to the Himalayas and grow apples! In spite of his long association with EMRS Lakshman has never visited England. 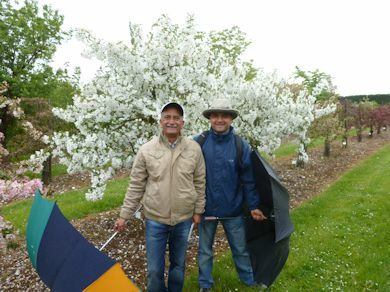 He had a 'burning desire' to visit Brogdale and the National Fruit Collection and East Malling Research; next week Lakshman and his son Vikram will visit EMR. On Wednesday (29th May) I met them both at Brogdale and after a guided tour of the NFC in the morning, we met Sheenagh Levett of FAST for a tour of the FAST trial site in the afternoon. The hat is the Indian equivalent of Harris tweed, as sheep farming by local tribes has been a key source of livelihood for mountain folks for eternity. They handspin the sheep wool and pashmina (from Pashmina goats), then weave it in ancient style manual handlooms. The local Government is supporting these handlooms to preserve them from extinction. Touring the NFC we were surprised by the late flowering of some apple and crab apple (Malus) varieties. 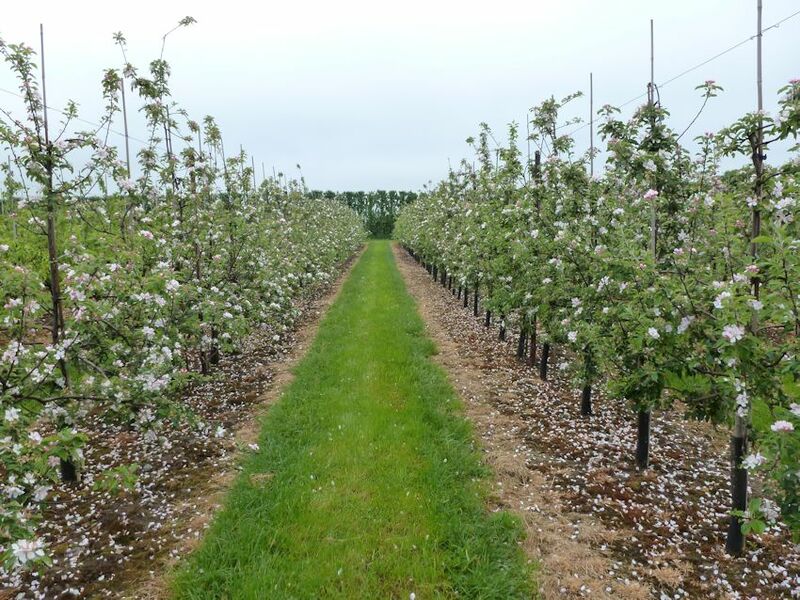 What we saw epitomises the variability of blossom timing this season. 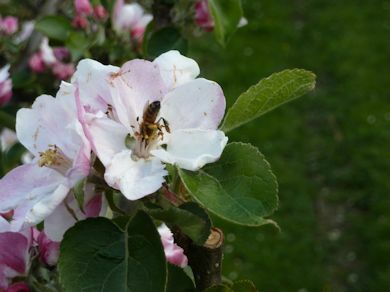 When we look closely at the timing of this seasons blossom, it is clear, apart from the generally lateness of all species, that the variability of full bloom is extreme, with apples showing a (circa) 3 week variation; this variation is quite noticeable, even when the distance; 'as the crow flies' is not very far. 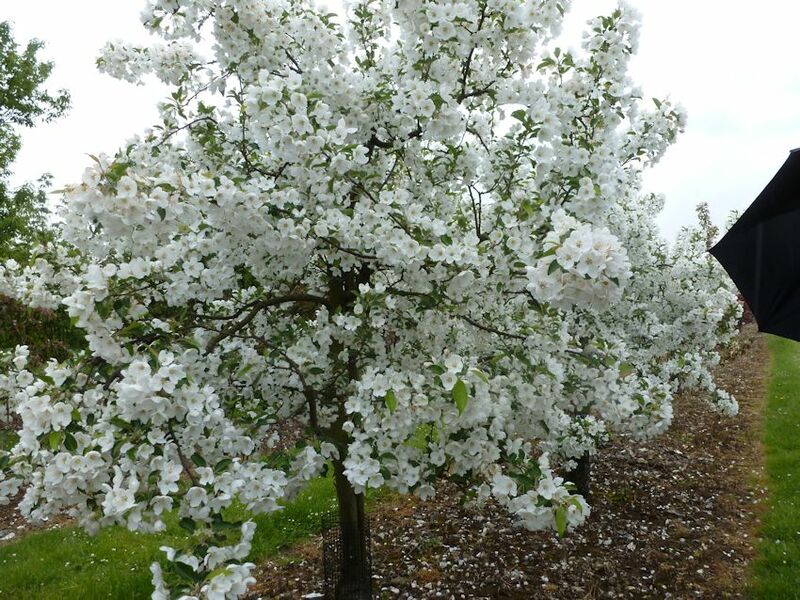 The micro climate on the south side of the North Downs, was highlighted by Clive Baxter's appearance on TV on Bank Holiday Monday; 'not the most recent one' but the early May Bank Holiday Monday (6th May) in which he pointed out the 'unprecedented' alignment of blossom on Plums, Cherries, Pears and Apples. 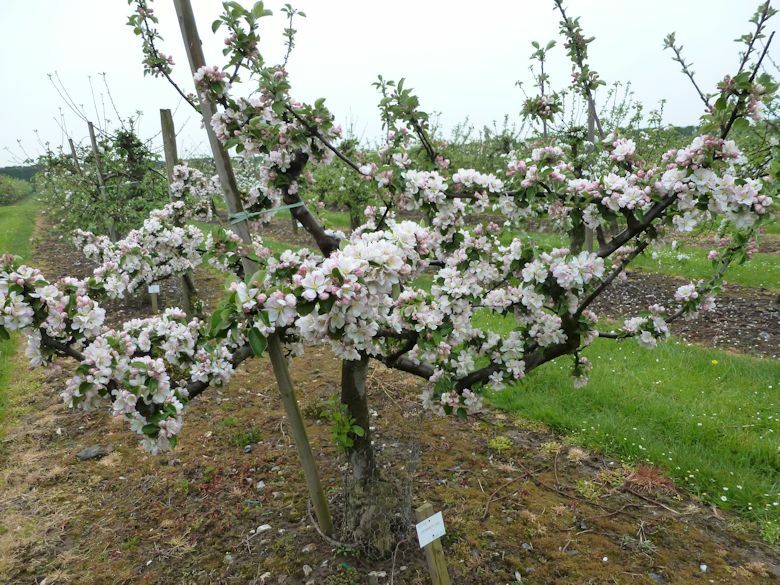 BUT, while blossom came to Clive's then, and to the sheltered areas in the Weald below, the East Kent region was much later; all of 7-10 days. In East Sussex The EAM observed full bloom (on Cox) as late as 24th/25th May. Hommet, a late flowering variety from France will clearly still have blossom in early June. 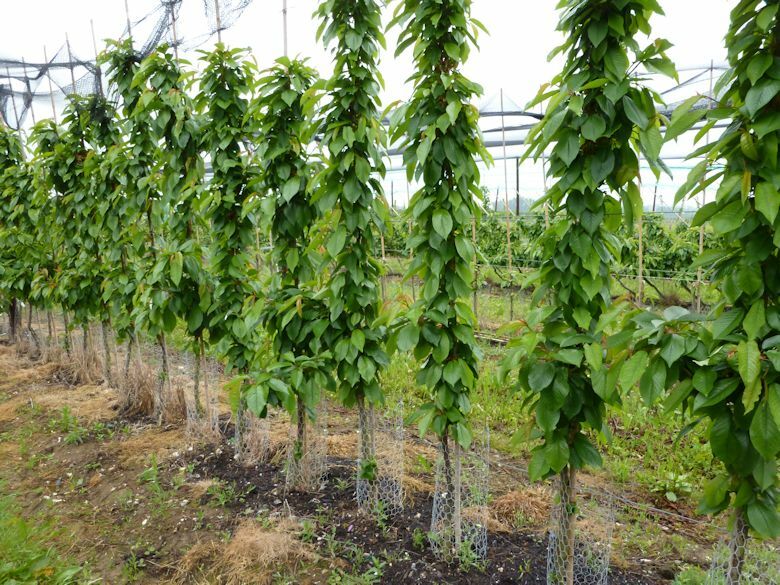 In the FAST trials, this Cox fruit wall compares with a standard pruned Cox on the left. 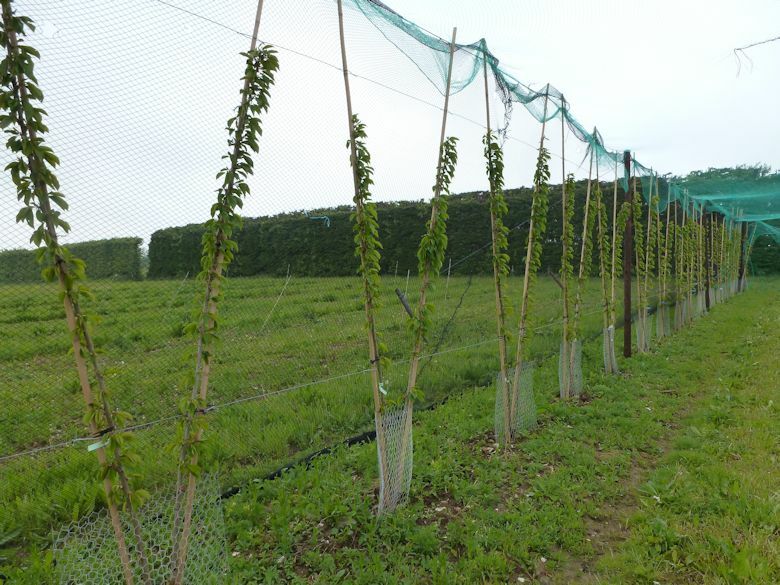 Due to its inability to crop on one year old wood, it is not seen as an appropriate variety for fruit walls, BUT this trial row suggest the perceived thinking may be wrong! 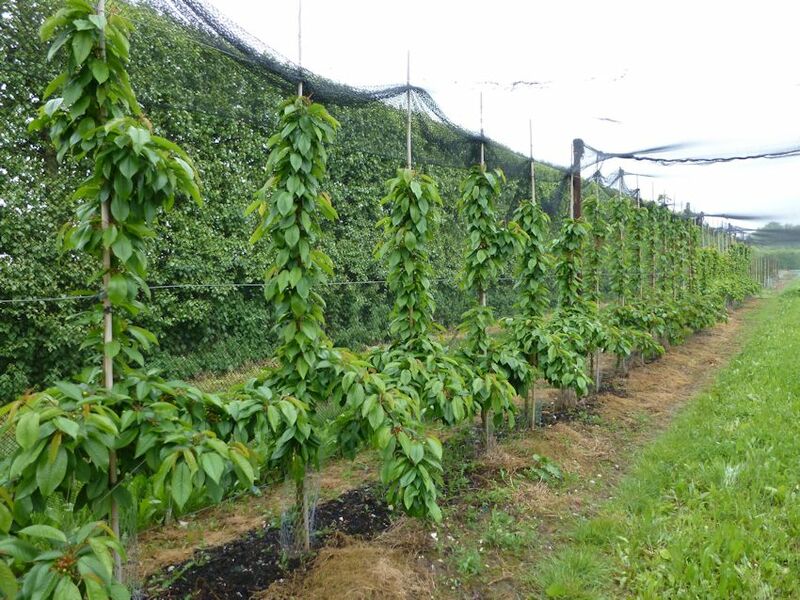 In the FAST trials, Cherries are prominent, with a mixture of tree formats; the 'table top' format pictured below looks very promising. 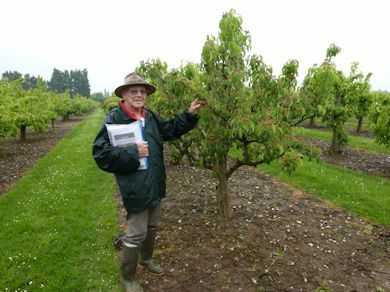 Bibaum (twin leader trees) are in vogue as the 'new kid on the block' with apples, and now Cherries are moving in the same direction. 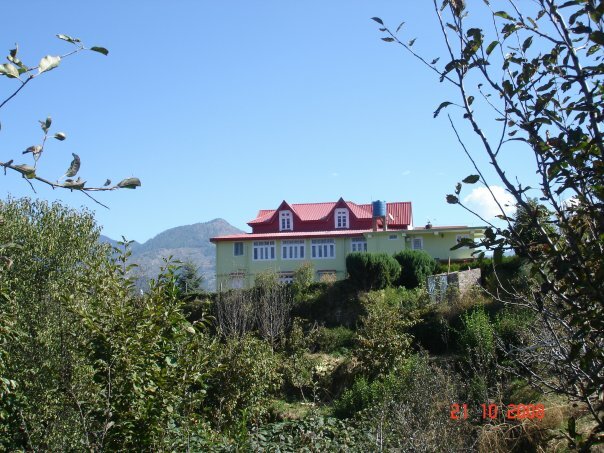 Below; Lakshman Thakur's home in the Himalayas. 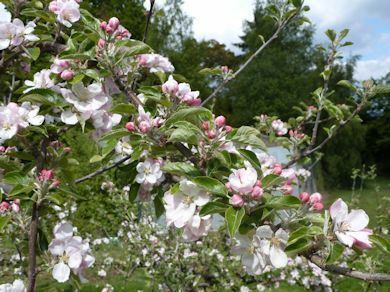 As a former English Apple Grower who was fortunate to grow on gently sloping land; 'for the most part' it is fascinating to learn that Lakshman grows on slopes so severe that it is impossible to drive tractors up & down the slopes. 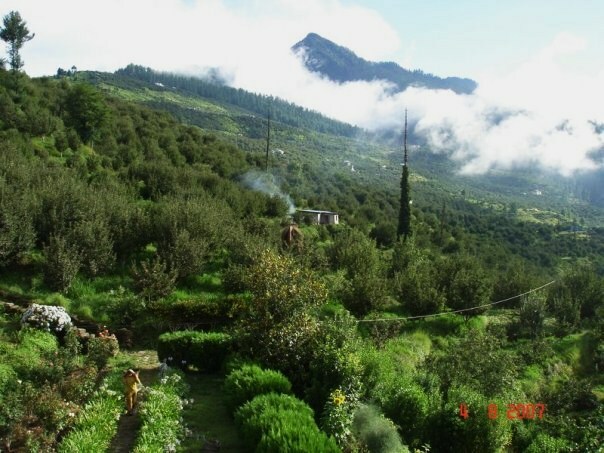 The orchards spread over 23 acres and on three separate areas depend on pickers from Nepal as the Indian workers do not relish the slopes. "One presumes the Nepalese 'train on the slopes of Everest"
Look closely at the picture below; a small circle towards the bottom of the picture locates Lakshman's house! "Who knows; as Vikram said; maybe he will be dragging me up some farm track in the Himalayas one day"
This week The English Apple Man launches a new PEOPLE PROFILE; a year in the making, this is the profile of ROBERT MITCHELL MBE who has achieved so much already in a career dedicated to supporting our industry and the young people who are central to ensuring success, now and in the future!